Siam happens to be the former name of Thailand, the land of smiles and tempting food! This peaceful country is known for their diverse food culture. So much so that they're often called the food hub of Asia! What bothers most food enthusiasts here is the unavailability of genuine Thai cuisine and guess what? Thy wishes seem to have been granted! Siam 37 finally has opened their dine-in outlet and its raining Thai awesomeness! Location: Right at the heart of Lord's More in the lane next to Shawarma Nation, few minutes walk from South city mall. Ambience: The setup is compact and cosy, meant to accommodate around 10-12 people. The decor is simple with more focus on the open kitchen that gives you a view of your food being made live! Exciting, right? Now, the single most important part: their food! It is seriously as authentically Thai as it gets and that might come as a total surprise to many. Their spread is a perfect blend of flavours, aroma and gastronomic delights. ⬇️DO NOT MISS OUT ON: 🌺Tom Khu Kung aka Thai coconut prawn soup 🌺Plahmuk Thxd aka deep fried squids 🌺Gai Galae aka coconut milk BBQ chicken 🌺Gratiem Kung aka prawns in Thai style garlic sauce 🌺Rangoon Noodles 🌺Kao Min aka Tender coconut rice So, it could easily be said that the secret to Thai food is a balance of five flavours in their freshest: sour, sweet, salty, bitter, and spicy. 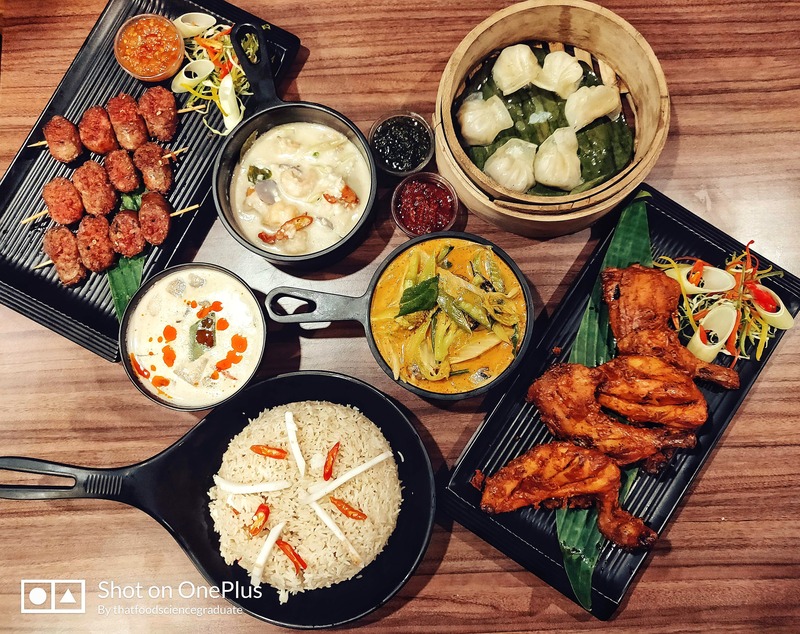 A careful blend of these gives rise to a powerhouse of euphoric food that one would cherish for a long time, and needless to say, Siam 37 has managed to crack that code!